*This post is sponsored by Movies Anywhere. Happy Halloween! It’s crazy how October’s month of costume themed activities comes to an end today. 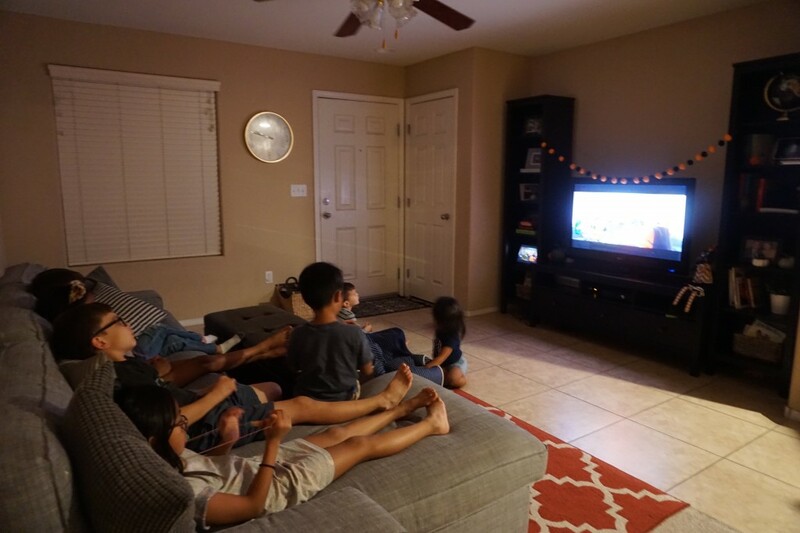 Perfect way to end your Halloween evening is with a fun movie night once the kiddies haven gotten their sugar rush in and you are winding down before another busy weekday at school! 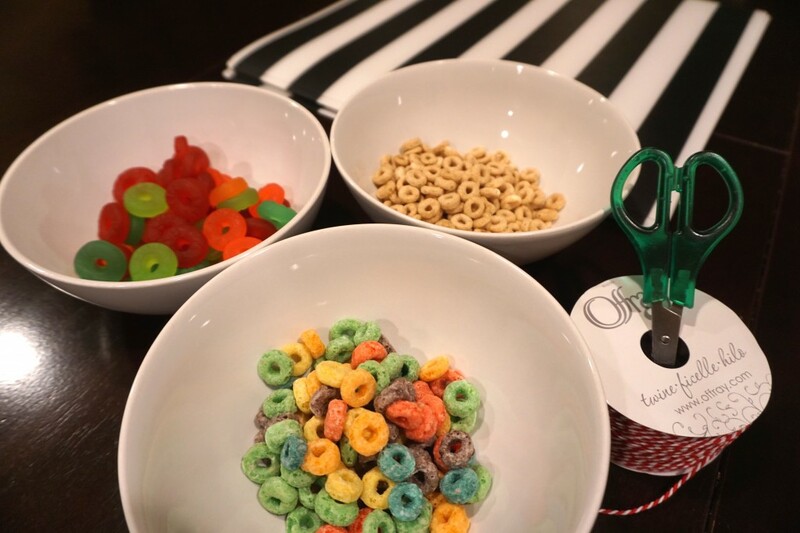 With Halloween being on a weekday, we wanted to host a fun Trick or Treat themed movie night this past weekend. 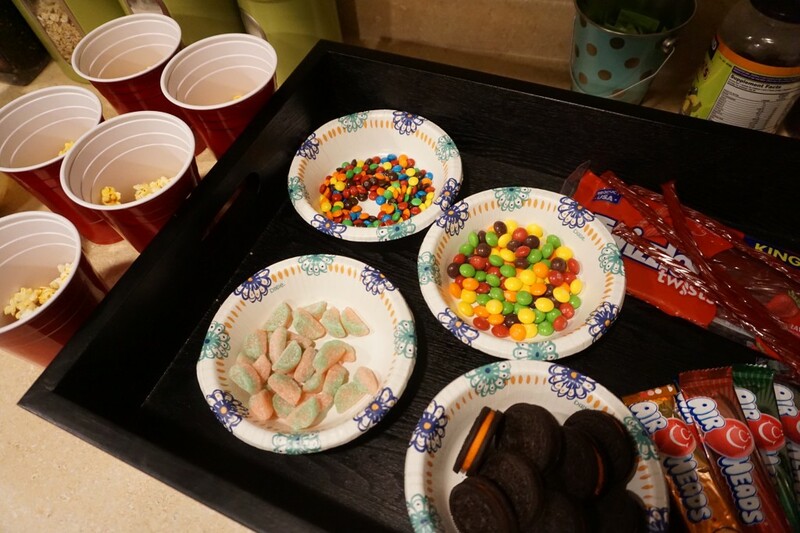 We actually brought some fun goodies to our friend’s house and got to test out Movies Anywhere. 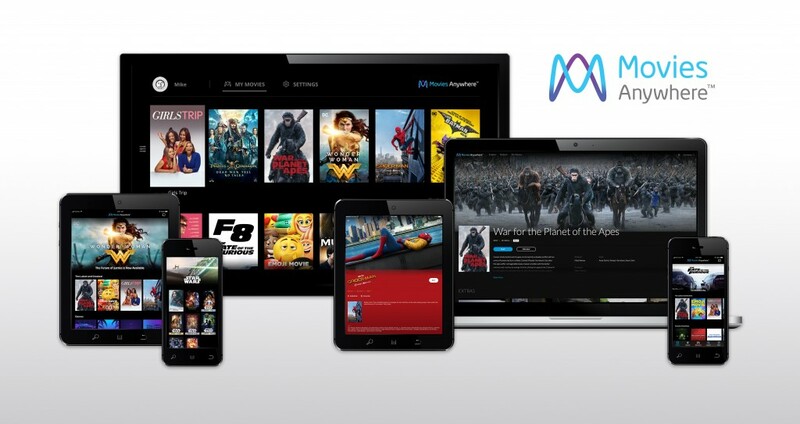 Movies Anywhere is a digital film service that combines all of your purchased films from Disney, Warner Bros, Sony, Universal and Fox. Cool thing as I was downloading the app on my phone, was that I was able to link my Disney Anywhere movies with the new ones. Having them all in one place on my account makes it so easy to watch at home or on the go! I can’t tell you how many times having the app has helped keep my kids busy during long car rides…LIFESAVER!!! For our movie night we simply connected a laptop to the TV and made our movie selection. With our theme bring “trick or treat” in honor of Halloween, we chose the candy themed movie WRECK IT WRALPH! But first…pizza!!! With all the treats we had lined up we had to get the kids bellies full of actual food first. 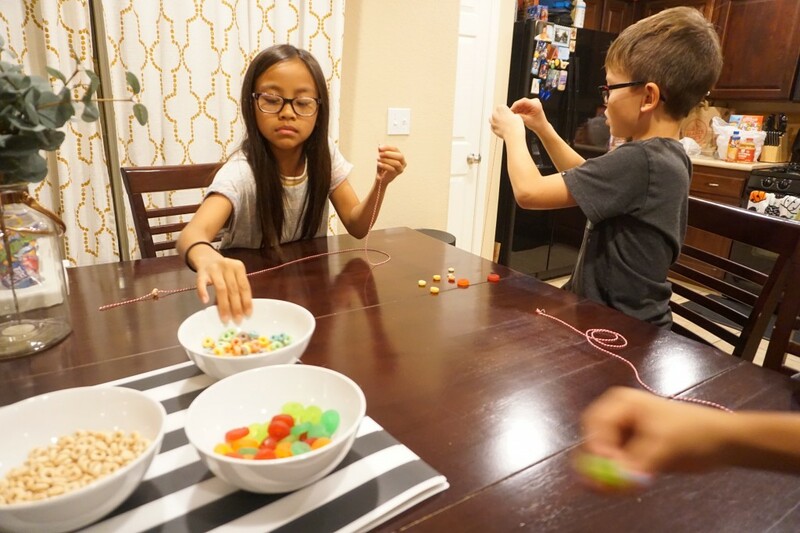 Next up was candy necklace time…well I should actually say cereal and lifesaver gummie necklaces, since I had trouble finding more candy with holes in the middle lol! The kids really enjoyed this and it kept them super busy while us Moms cleaned up and prepped the movie! Finally it was movie time! 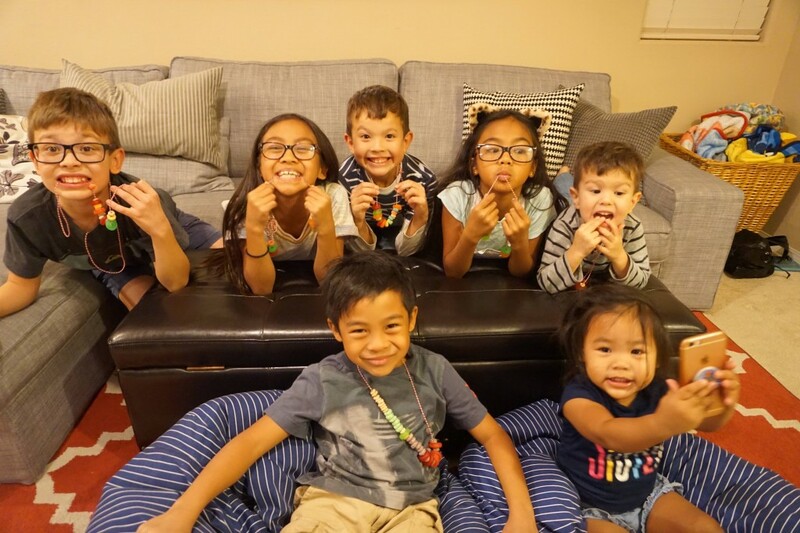 With 8 kids, it was a breeze…well until we loaded them up with the treats and sugar! We made stove top popcorn and set up a candy station for the kids to pick a small ziploc bag of candy and a cup full of popcorn. 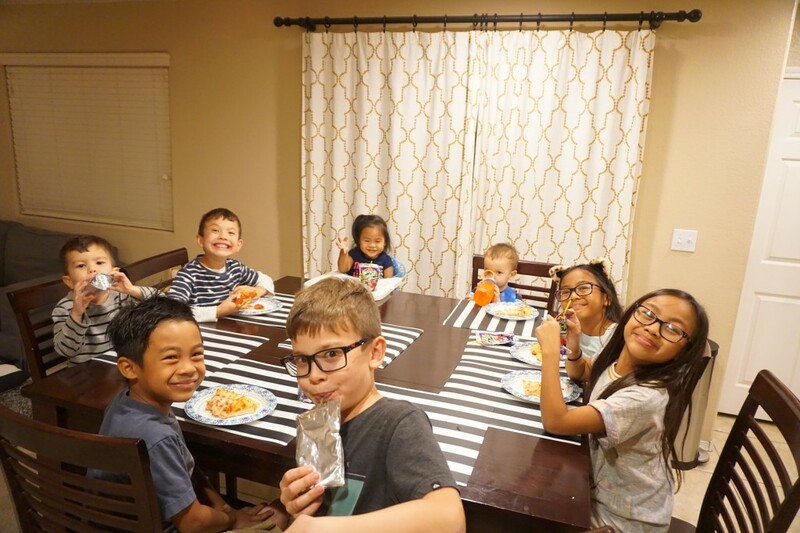 All it all it was a fun themed movie night, while the kids enjoyed Wreck it Wralph…us Moms got to enjoy some time without the kids running around! Moving forward this is the way to go for us, Movies Anywhere will continue to be a staple service we use for years to come!